The sun has been shining today, and we're feeling in a spring mood! 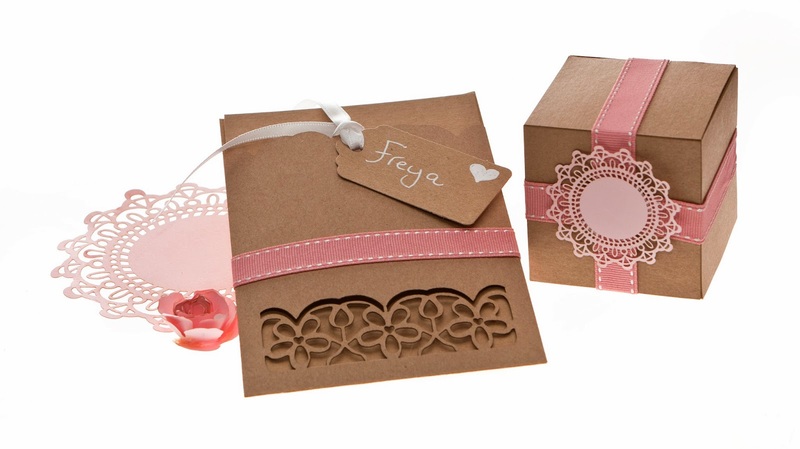 We have been busy designing some new products and thought we would share one of our NEW laser cut sleeves and favour boxes with you. 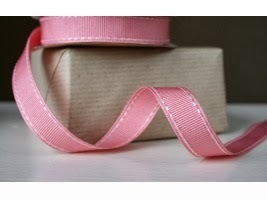 We decorated them with some gorgeous 15mm reversible stitched Salmon Pink grosgrain ribbon. Available from www.janemeans.com. Starting from the middle of the back of the sleeve when the sleeve has been made up, add a straight line of double sided tape, bring the tape around the front, and bring around the back of the sleeve to meet in the middle where you started. Repeat the process with the ribbon, by peeling back the double sided tape top layer and add the ribbon and wrap around the back. With a sharp pair of scissors, cut the ribbon straight at the tape join and press down lightly for the ribbon to stick to the tape. We used our pastel pink mini doilies to decorate our kraft boxes, and matching Salmon Pink ribbon to complete the set. The wallets have a small hole in the front, and come with free mini luggage tags. 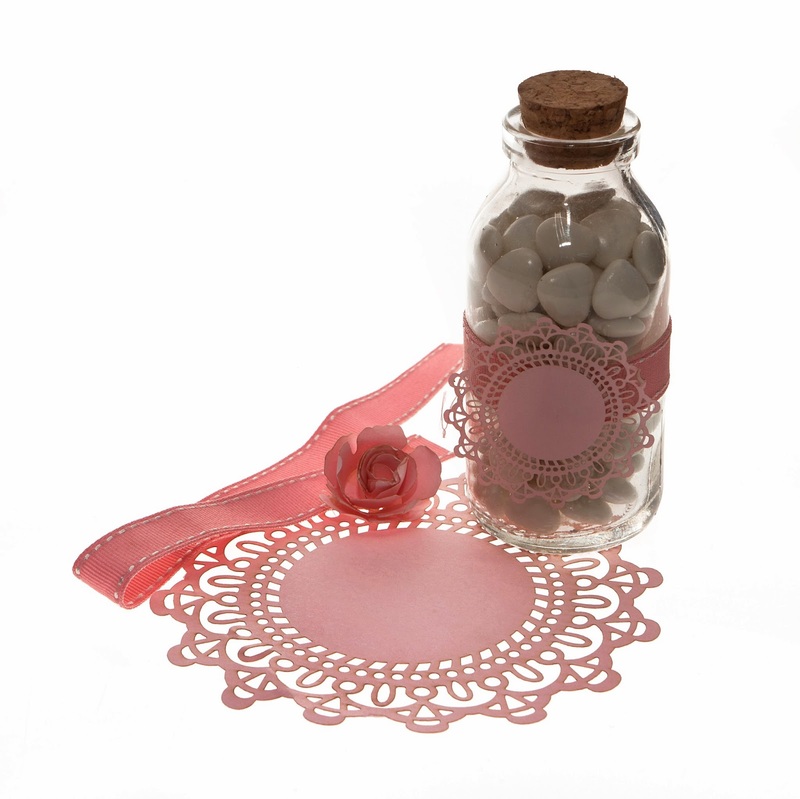 They can be used as a menu place settings at your wedding reception, or as a really unusual and unique way of giving a wedding invitation to your guests. 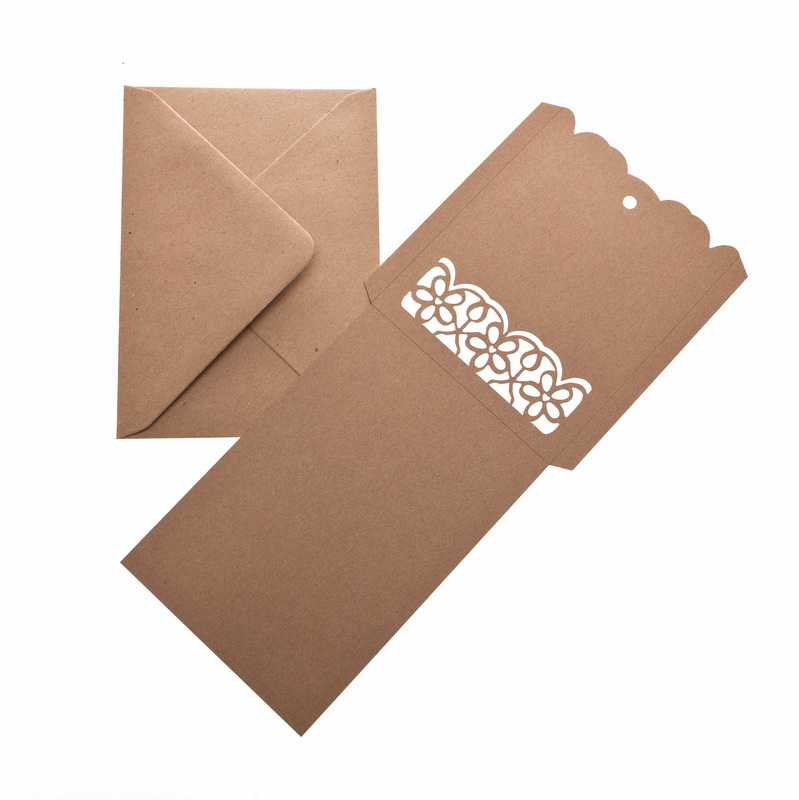 The wallets can hold up to 5 pieces of card, for your invitation, RSVP, venue or travel information. The wallets are also available in vintage cream fleck. We also decorated some mini vintage milk bottles with our mini doilies, filled the jars with chocolate dragees, and added a name - we think they make perfect little table favours!